The DSU Women’s Coffee House was back again with more feminism, discussion, and yes, coffee. Hosted by the DSU Women’s Collective, this event was the first Coffee House for the Winter 2019 semester. Students met in the Students’ Union Building on January 29 to discuss the media’s role in perpetuating female stereotypes. The event also sought to discuss the role of colourism and how it intersects with issues of gender in the film industry. 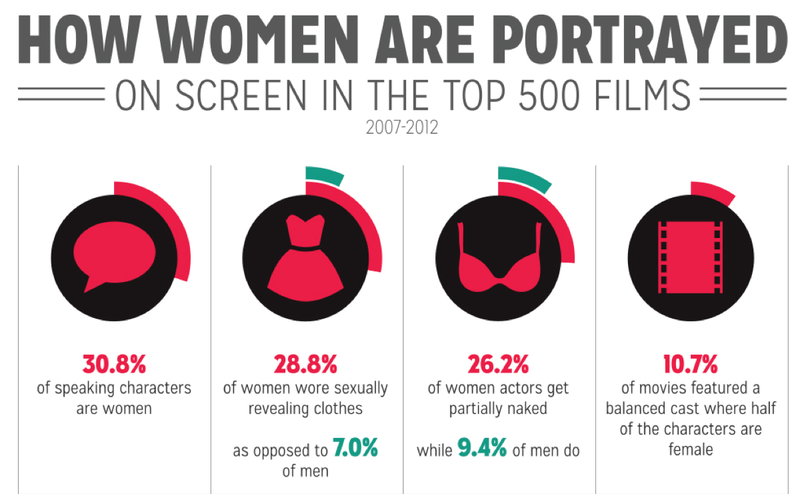 Concepts such as the femme fatale, old maid, virgin, and other gender-based, one-dimensional roles are still prevalent in today’s film industry, even though they are age-old concepts. The Coffee House looked to unpack these ideas and discuss how they have influenced female expectations off-screen. Aahelee Bandyopadhyay, Women’s Students’ Representative, and Telka Pesklevits, Director of College Relations, were the DSU representatives at the event. The Coffee House gave a screening of a short documentary titled The LadyRising Actress Chronicles by Naomi Ambrose, the Other Press’ very own staff writer. The documentary begins by noting that Vancouver is known as “Hollywood North” due to its prominence as a destination for filming shows and movies. However, it still faces many challenges in terms of diversity in casting. “Despite a plethora of productions, none of them feature the new members of the industry. The new members are Black emerging female actresses,” states the documentary. The documentary was written and directed completely by Ambrose. The movie showcases stories of women in the industry who have faced issues based on their gender in real life. Ambrose is the founder of LadyRising, which is a movement initiated to empower and support women entrepreneurs. The movement helps by providing practical tools and resources for women to pursue their dreams. One actress in the documentary, Elizabeth McLean, attended the event as a guest with her husband. In the movie, McLean shares her childhood story and journey into the movies. Ashleica Edmond, another actress in the documentary, speaks in the film about her experience in the Vancouver film industry. She recounts that although there are more opportunities here in Vancouver, they can be quite limiting. The Western film industry in particular has come under fire for routinely casting women of colour in these supporting roles rather than giving them more substantial parts. Bhavika Gaba, an attendee of the Coffee House, said in an interview with the Other Press that she thinks times are changing in terms of colourism in film and common perceptions of beauty. “Since I was a kid, the lead is always a fair and white person and black is the colour of people behind them. Never have I ever seen the opposite happening, that a white woman is the helper and [a] Black woman romances the lead actor. It is now what society has been made to believe. It is great to see at least some change where the society is becoming more accepting,” said Gaba. The Coffee House attendees discussed how colour has been used to portray certain sections of society and how this bias is evident in all areas of the movie industry, even in Disney movies meant for kids. Bandyopadhay said during the event that looking back on childhood films has made her realize that racism is still depicted in the film industry. “Initially when I watched Aladdin, I didn’t have the feeling but as I grew older and analyzed the retrospective [and] then I actually felt how blatantly racist this is,” she said. One topic discussed during the event was the expectation for women of colour to use whitening creams in the film industry. Another topic was the hot-button conversation surrounding Meghan Markle and Prince Harry’s wedding that the prince was marrying a half-Black woman who is a divorcee. Gaba said that gender also greatly affects how women are treated in the film industry. The next Women’s Coffee House will be hosted on February 12 at the Coquitlam Campus in Room A1190. These events will continue to be held biweekly until March 26.